We've had several weeks now to get familiar with the One UI beta, so there hasn't been much in the way of big surprises from this final, public release. The Pie update for the S9 and S9+ brings with it not only features including adaptive battery, but also Samsung's new One UI design language. In addition to this surprise gift, Samsung has posted a refreshed Pie update roadmap for other devices in the Samsung Members app. See the full list below. As the list makes clear, the rollout will still be fairly slow going, especially when it comes to older devices. Even for the S9 and S9+, Samsung still lists January as its launch month, which indicates the update will arrive gradually across the world and through various carrier partners. Taking that as a potential blueprint for other devices set to nab Pie, the new OS version may arrive on the Note9 beginning in January, ahead of its February deadline. Meanwhile, those with S7 and S7 edge devices are unfortunately excluded from the list, as both of those devices already received their promised two major OS updates. To check for Pie on your device, look for "Software Update" in settings and select "Download updates manually" - and do let us know if the update is showing up in your country. We've had several weeks now to get familiar with the One UI beta, so there hasn't been much in the way of big surprises from this final, public release. But if you haven't been following Samsung's work on its new software, the company just updated its support docs with a detailed breakdown of the changes and new functionality users can look forward to from this update. 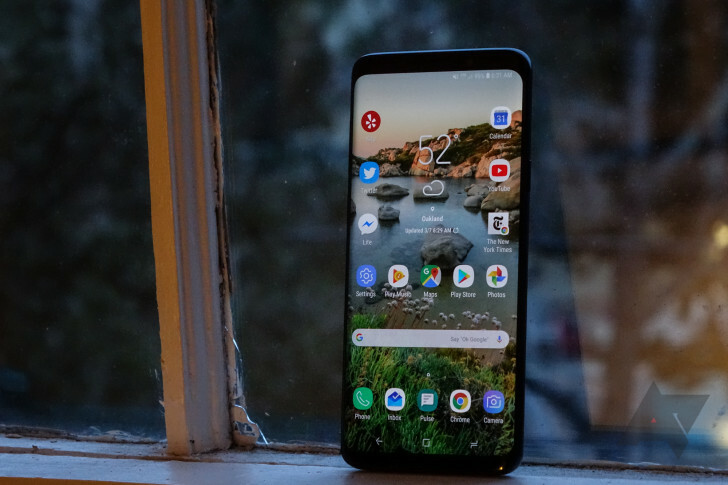 The complete list is a little long to include here, but covers improvements to notifications, the keyboard, Samsung DeX, the Always On Display, Bixby, camera software, and more. Check out Samsung's site for all the highlights.